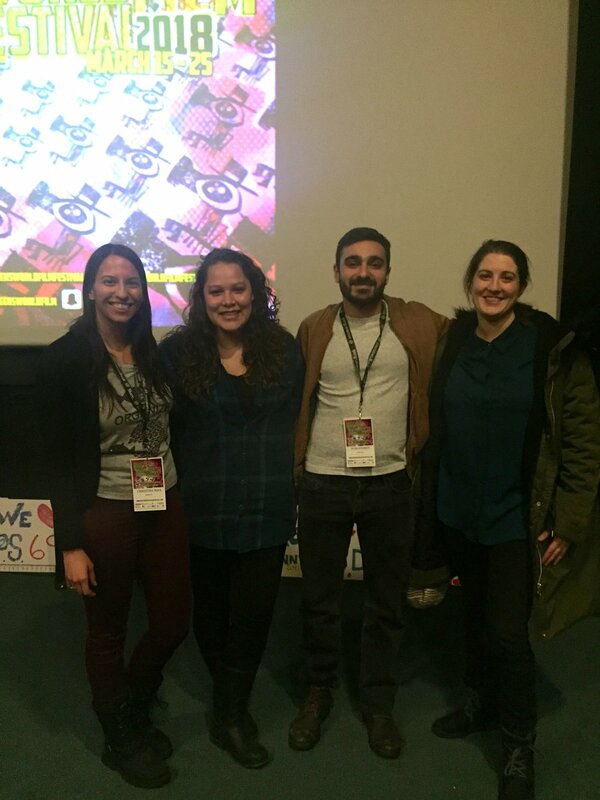 Last week was the Queens World Film Festival, our favorite local fest and one of my (Christina's) favorite fests overall. We were lucky enough to have two shorts part of it this year, "Enough" and "Arm Bar." "Enough" screened Thursday night at Kaufman Astoria Studios as part of the #Women block. I'm usually a little skeptical of any block whose theme is just "women," as it usually implies it's the only block at the festival with films directed by women. But women directors were super represented all throughout the festival this year, and I was happy to see that my block featured 5 films unified by a kind of "women on the edge" theme - tackling struggles that don't specifically afflict women but were portrayed in nuanced ways that felt authentically and pointedly woman. The audience was small, only about 35 people, but not bad for 6pm on a weekday. And thankfully, the audience was engaged, with a well-run Q&A that artistically tackled the work. See the Q&A below. We cut out most of the other filmmakers' answers, as as to not spoil their films. But the discussion was great overall. We hope to be back at Queens World with new work next year! Until then, our next screening will be at Blackbird in April with "Enough."